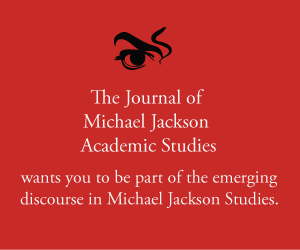 Abstract: This eleventh episode stands in the light of the forthcoming book of Elizabeth Amisu, editor of The Journal of Michael Jackson Academic Studies. Karin has Elizabeth as her guest to interview her on The Dangerous Philosophies of Michael Jackson: His Music, His Persona, and His Artistic Afterlife. They talk about how an idea became a book, the model it is based on, and Elizabeth gives a brief overview of some of the chapters in the book. Merx, Karin, and Elizabeth Amisu. “Episode 11 – Author & Text: ‘The Dangerous Philosophies of Michael Jackson’ Pt. 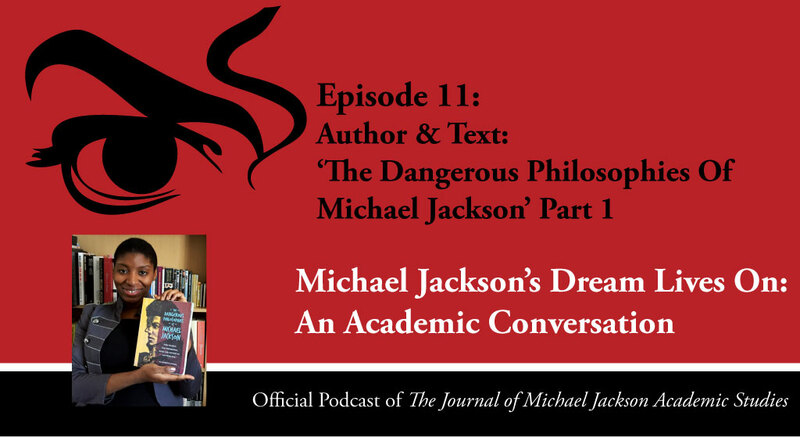 1.” Podcast, Michael Jackson’s Dream Lives On: An Academic Conversation 2, no. 4 (2016). Published electronically 07/07/16. http://michaeljacksonstudies.org/episode-11-the-dangerous-philosophies-of-michael-jackson-part-1/. 1.What exactly made you write a book on Michael Jackson, what was your inspiration? 2. You based the research on an early modern model and you connect it with Shakespeare? 3. Can you tell us something about commonplace books? 4. Can you explain a bit more about copyright in the seventeenth century? 1. Joseph Vogel, Man in the Music: The Creative Life and Work of Michael Jackson (Sterling 2011). 2. Elizabeth Amisu, ‘Throwing Stones To Hide Your Hands: The Mortal Persona Of Michael Jackson‘, The Journal of Michael Jackson Academic Studies. Vol. 1: Issue 1 (2014). 3. Elizabeth Amisu, ‘On Michael Jackson’s “Dancing The Dream”‘, The Journal of Michael Jackson Academic studies, issue 2, volume 1 (2014). 4. Susan Fast, Dangerous (Bloomsbury 2014). 5. The Michael Jackson Podcast by The MJCast. 6. Information about ‘commonplace books’. 7. Edward W. Said, On Late Style: Music and Literature Against the Grain (Bloomsbury 2006). 8. Gordon McMullan, Shakespeare and the Idea of Late Writing: Authorship in the Proximity of Death (Cambridge 2007). 10. Information about Ben Jonson. 11. Information about the Tudors. 12. Information about the Elizabethan era. 13. Michael Bush, The King of Style: Dressing Michael Jackson (Insight Editions, Div of Palace Publishing Group, LP 2012). 14. Jason King. ‘Don’t Stop ’til You Get Enough: Presence, Spectacle, and Good Feeling Michael Jackson’s This Is It’, Thomas F. DeFrantz and Anita Gonzalez (ed. ), Black Performance Theory: An Anthology of Critical Writing (Durham and London 2014). 15. Elizabeth Amisu, The Dangerous Philosophies of Michael Jackson: His Music, His Persona, and His Artistic Afterlife (Praeger 2016).